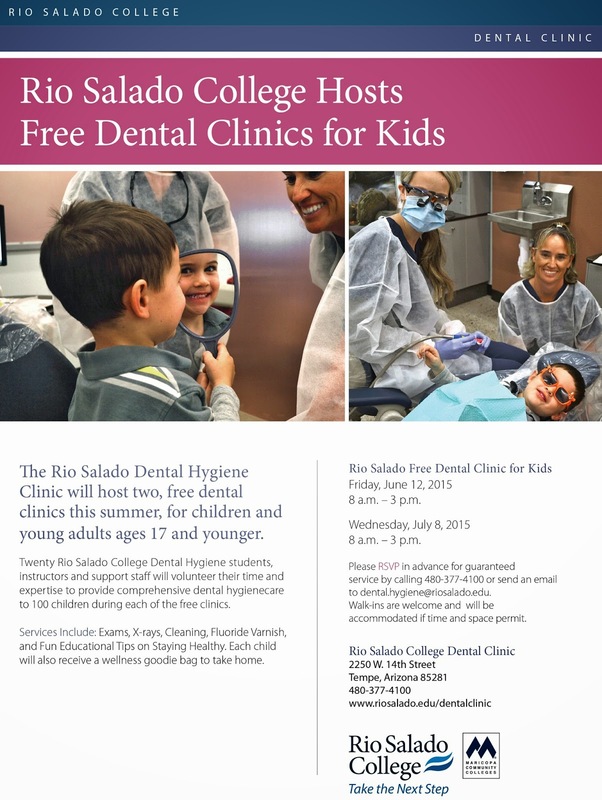 Rio Salado College | RioNews: Rio Salado Hosts Free Dental Clinics for Kids! 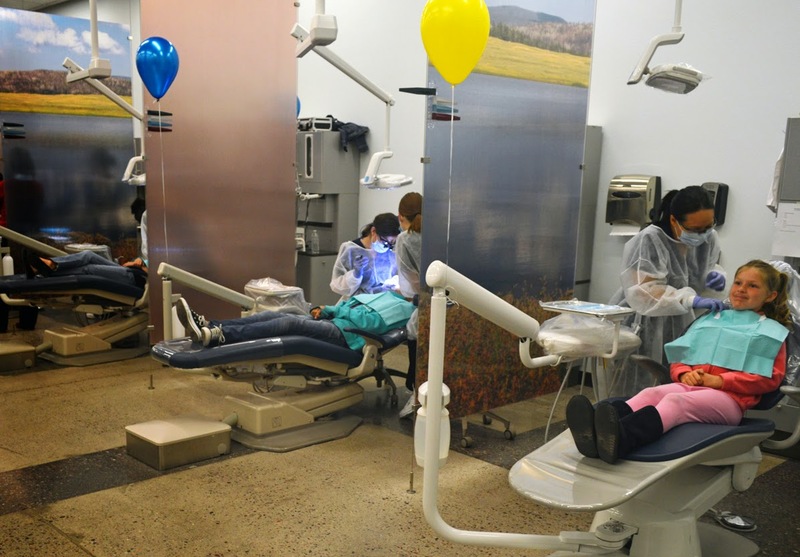 Rio Salado Hosts Free Dental Clinics for Kids! The Rio Salado Dental Hygiene Clinic will host two, free dental clinics this summer, for children and young adults ages 17 and younger. Twenty Rio Salado College Dental Hygiene students, instructors and support staff will volunteer their time and expertise to provide comprehensive dental hygiene care to 100 children during each of the free clinics. Services Include: Exams, X-rays, Cleaning, Fluoride Varnish, and Fun Educational Tips on Staying Healthy. Each child will also receive a wellness goodie bag to take home. Please RSVP in advance for guaranteed service by calling 480-377-4100 or send an email to dental.hygiene@riosalado.edu. Walk-ins are welcome and will be accommodated if time and space permit. The Rio Salado Dental Clinic provides quality preventive dental hygiene services at discounted rates for the public-- all year long. Fees range from $25-35 depending on the age of the patient. Learn more. 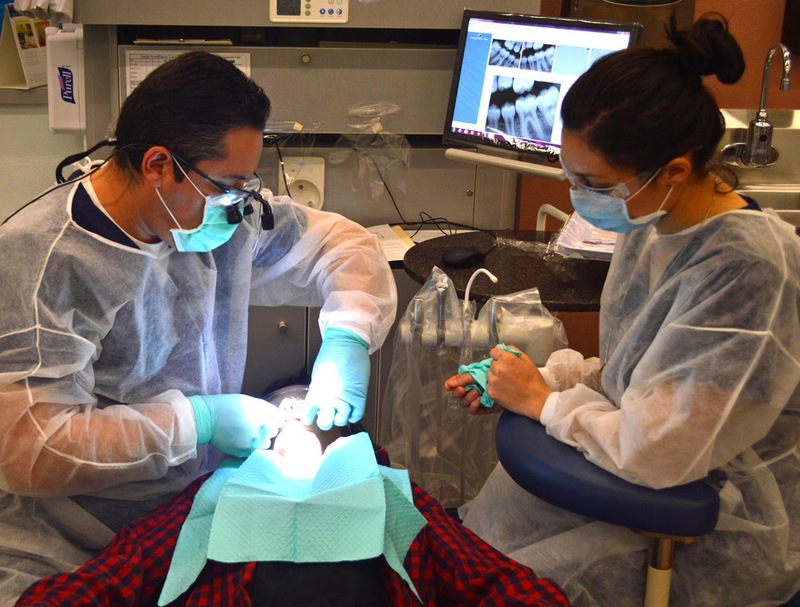 Visit this web page to learn more about Rio Salado's dental hygiene and dental assisting programs, and how you can begin your dental career.